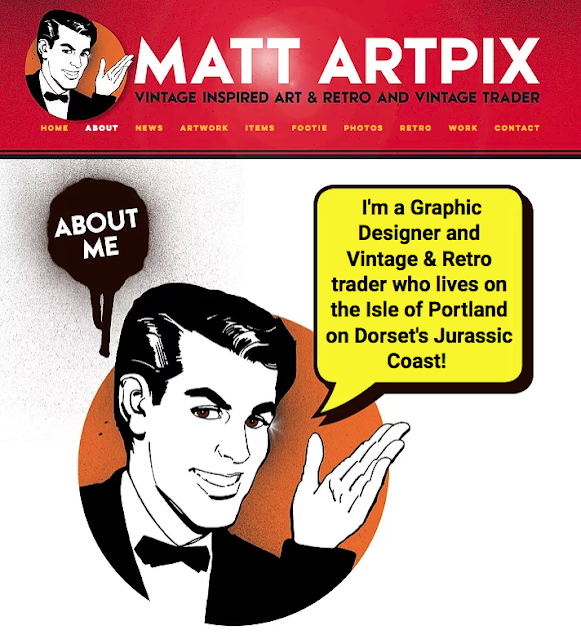 Matt ArtPix: MATTARTPIX.COM WEBSITE REVAMP! 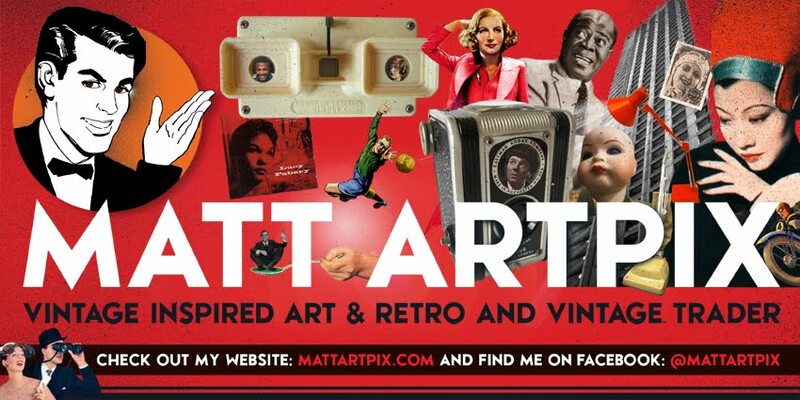 Pleased to announce the redesign of my main website www.mattartpix.com is now complete!!! Have been working on it over the past month, to replace my rickety old one, and have completely revamped the whole look and feel. 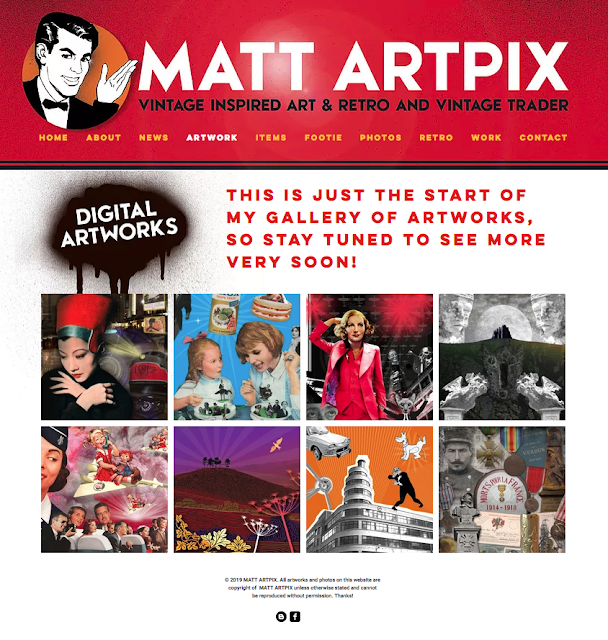 It now has 10 different sections, showing all aspects of the Matt ArtPix Empire. 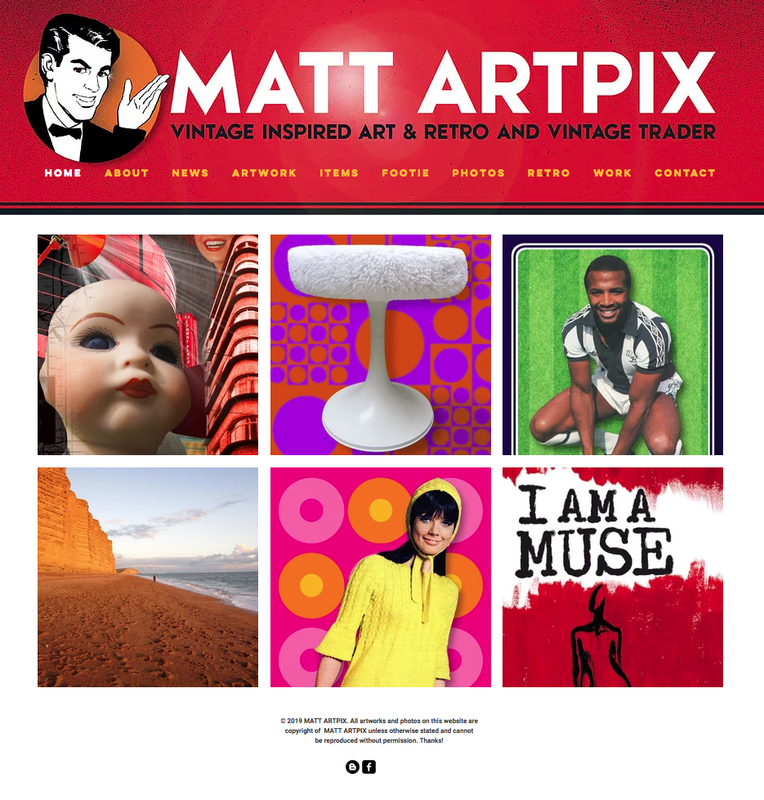 The design is now much cleaner and whiter, and I've held back my instincts to go mad on it, making easy-to-look-at galleries featuring my artworks, vintage items and designs! The NEWS page has a list of markets and fairs you can find me at, plus news of the latest stock. On the ARTWORK page you will see a gallery with some of my Digital Artworks and collages. 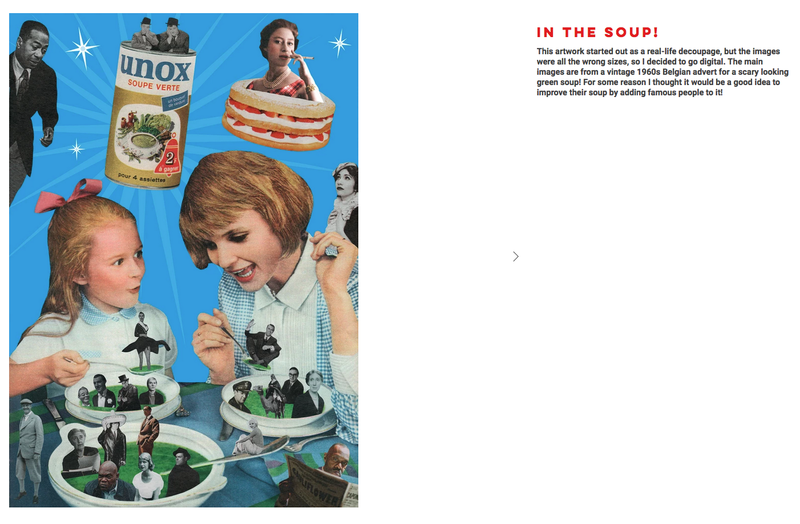 Including this one, entitled 'In the Soup'! 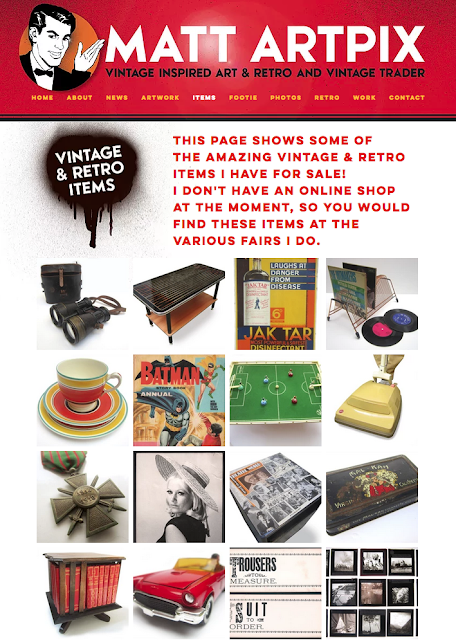 Next up is the ITEMS page, which shows you a selection of some of the amazing Vintage & Retro Items I sell at the markets and fairs. 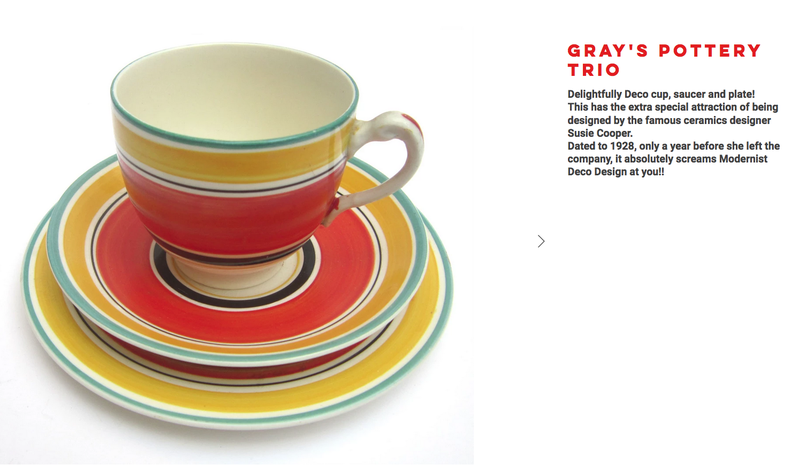 Each picture has an explanation of what it is, with this gorgeous Art Deco Gray's Pottery Trio being just one of the items. The FOOTIE page has all my popular Retro Football designs, which I sell as cards, fridge magnets and framed pictures. 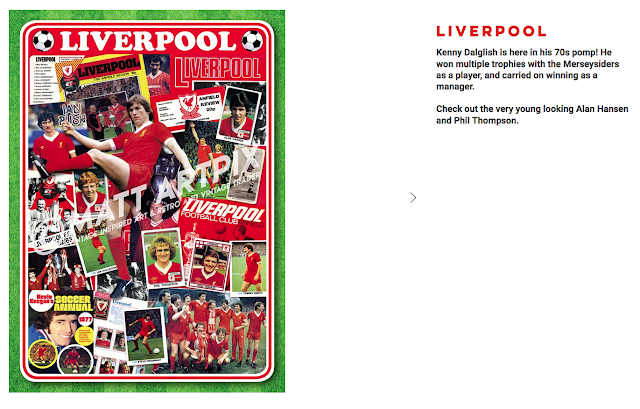 Liverpool is just one of the many teams I've done. 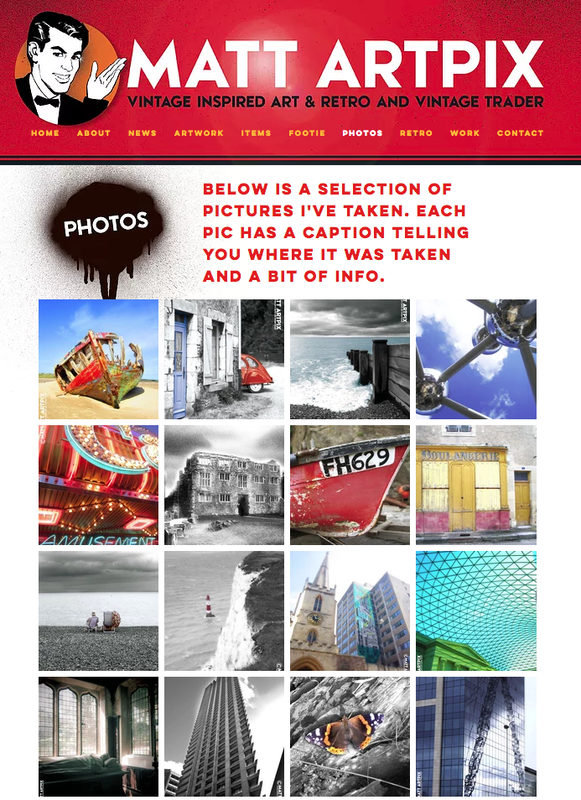 PHOTOS showcases a selection of my own photographs, I'm certainly not a professional but I do love taking photos! 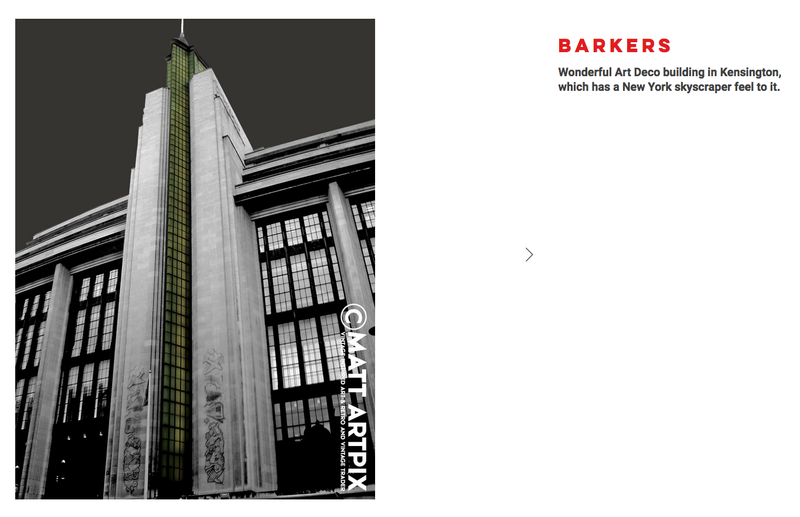 This is an example of one of my pics, the Barkers building in London, and as with the other galleries, all the pics have a title and explanation. 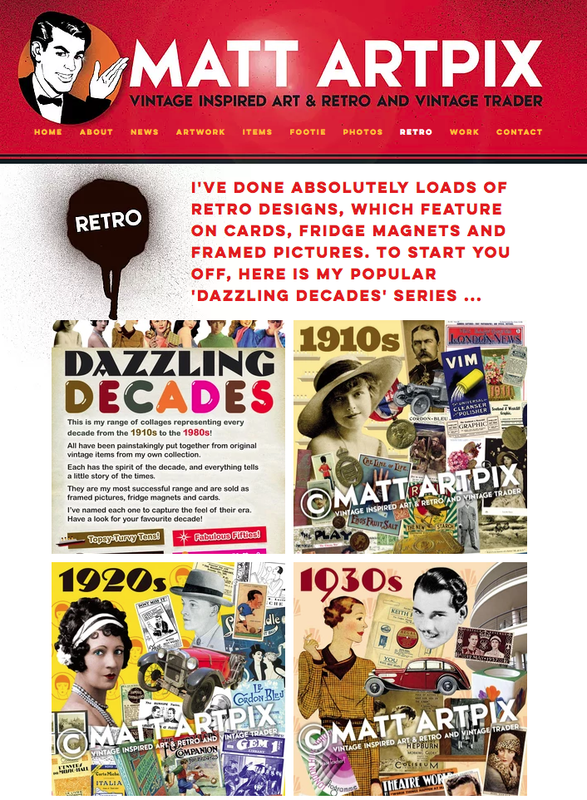 The RETRO page is all about my many retro-themed designs. I've started with all the Dazzling Decades series, and will add other designs later. 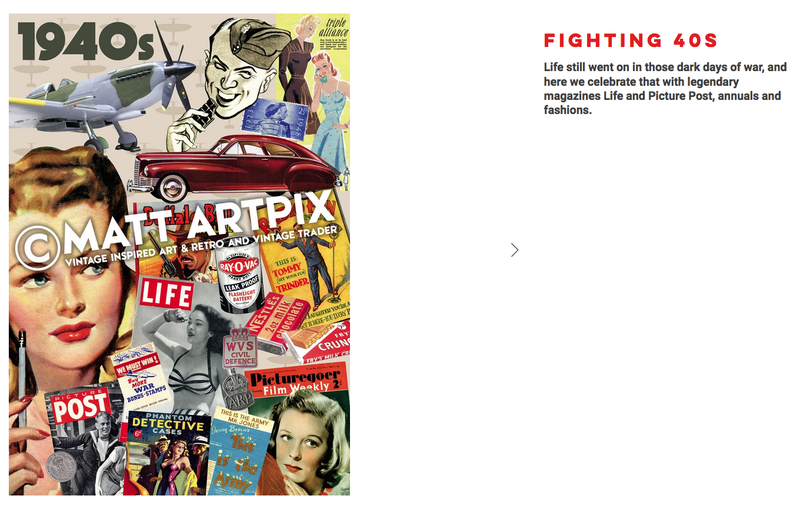 Below is one of my Dazzling Decades, the 'Fighting 40s' . 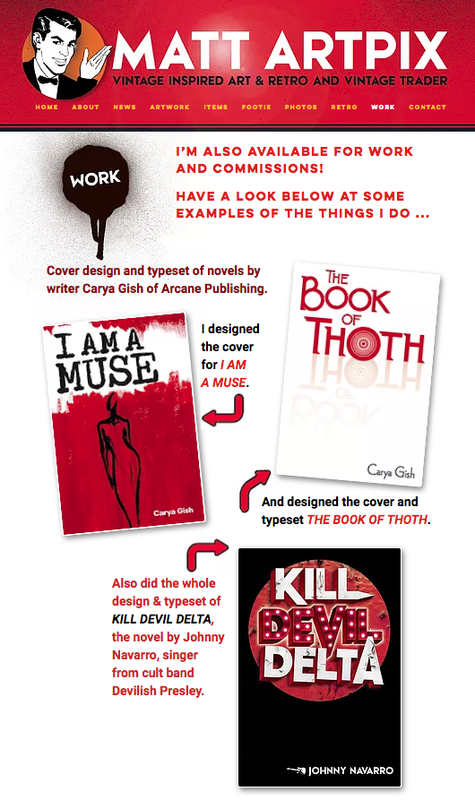 Now for the WORK page, although I very much do my own thing now, I'm still available for work and commissions!! And here I've showcased a few examples of recent work, including book covers, posters and design layouts. 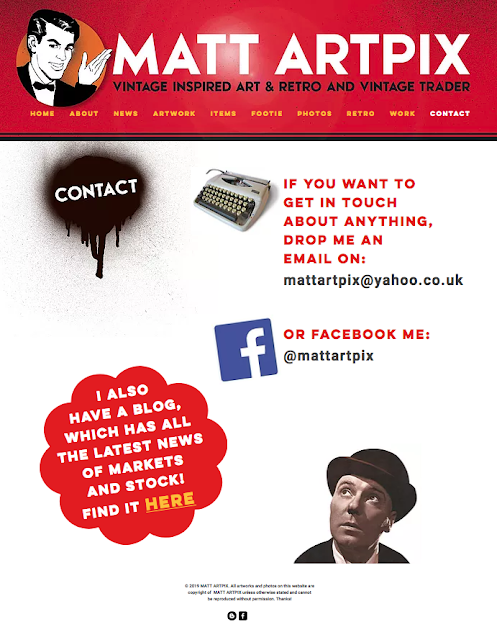 And finally the CONTACT page, giving details of how to get in touch with me. 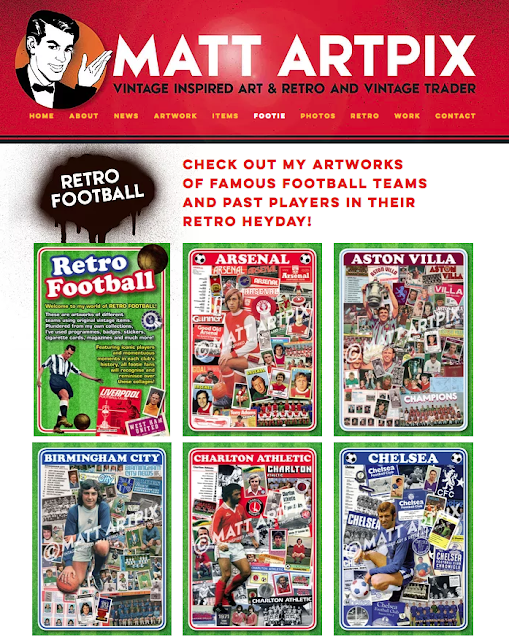 I'll be adding things to the galleries, and updating the News page, so do have a look from time-to-time and keep in touch with what I'm doing!! You may have noticed I've also changed this Blog's banner at the top of the page, to tie-in with the new look. 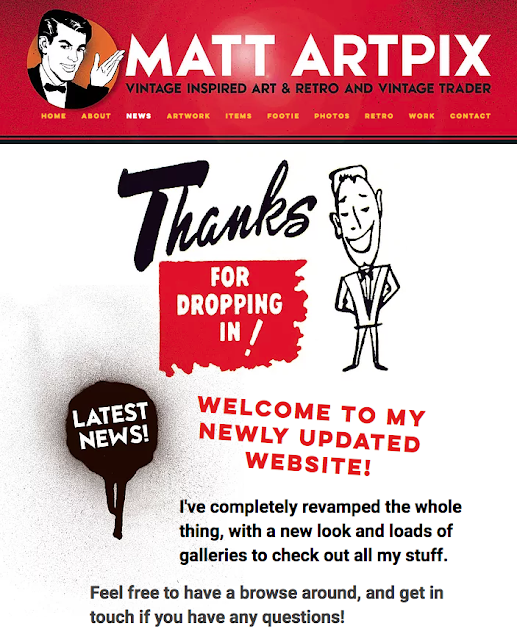 So the ArtPix Revamp is well under way! !